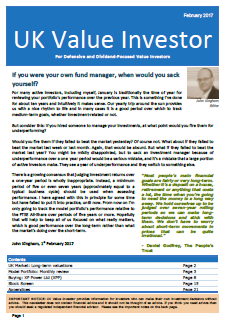 This website and my investment newsletter are built around a virtual but extremely realistic model portfolio of dividend-paying UK shares. 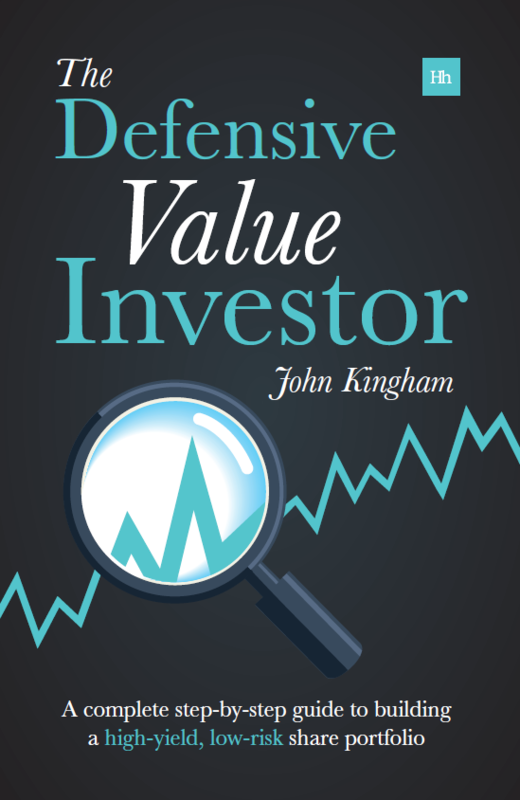 The portfolio’s main goal is to show investors how my Defensive Value Investing approach can be applied in the real world. And by ‘real world’ I do mean the real world, as almost all of my family’s retirement savings are invested in the same stocks as the model portfolio. 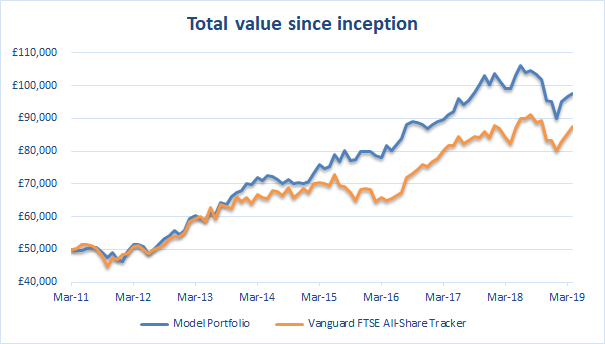 In terms of performance, the portfolio’s goal is to generate more income and more growth than the FTSE All-Share while being less volatile and less risky. 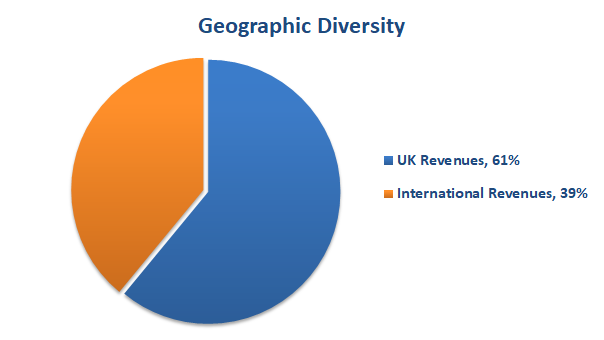 The model portfolio was launched in March 2011 with a starting value of £50,000. 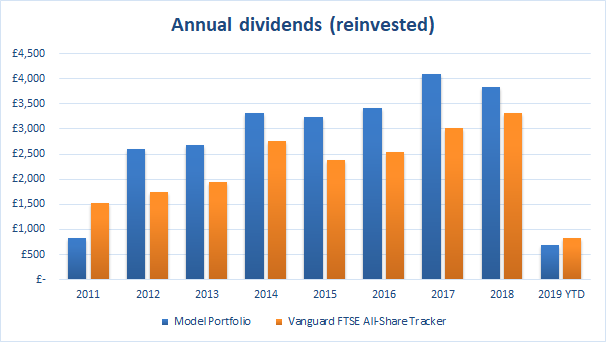 All dividends are reinvested and all expenses such as broker commissions, stamp duty and a subscription to the UK Value Investor newsletter are taken into account. For more detailed performance data, here’s a spreadsheet (Google Sheet) containing monthly values for the model portfolio and its index-tracker benchmark. 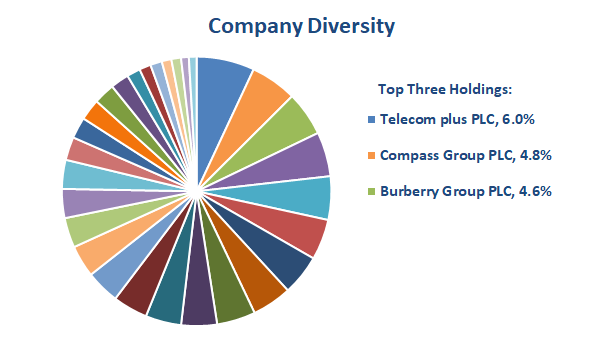 Detailed reviews of the portfolio and its performance are published on a regular basis. You can read through the most recent reviews on the Portfolio Reviews page. To continually improve the portfolio, the weakest holding (in terms of quality and/or value) is sold and replaced on a regular but infrequent basis (one sale occurs every other month). Each sell decision is accompanied by a full post-sale review explaining why that particular holding was sold. You can read post-sale reviews for all of the portfolio’s past investments below. 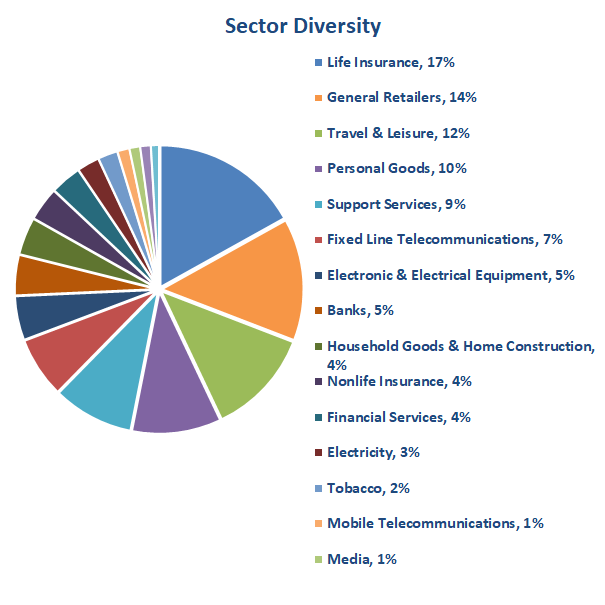 To reduce risk, the portfolio is invested in a diverse range of around 30 companies operating in many different sectors and countries. 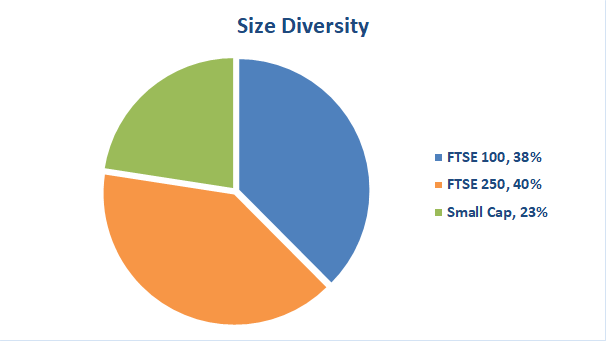 The charts below show just how diverse this portfolio is. If you would like full access to the stock screen, model portfolio and latest buy/sell decisions, sign up here. Important notice: The model portfolio, its holdings and any related buy or sell decisions are not recommendations to invest or not to invest. The portfolio should be seen as a source of information and education only. You must always do your own research, make your own investment decisions and seek a regulated financial adviser if you are unsure of any investment. Please see the full disclaimer.